Alexander was born in Elzbietow, Poland in September 1899. Then by 1919 he joined the 4th Signals Regiment and obtained the rank of Corporal. Was discharged in 1922. In 1924, he spent some time for retraining with the 1st Signals Battalion, and then he was allowed to pursue other employment before being called back to active duty in September 1939. 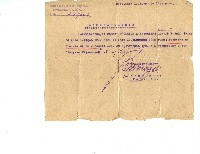 This active duty ended by the 17th when his unit was in Chortzow. The Russians were in this area at the same time, and his unit was captured. After a period of time, he was released. 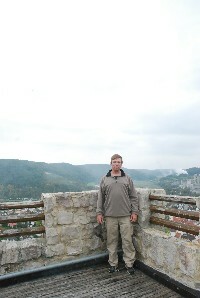 Then he started working for the German Post Office in Lublin. 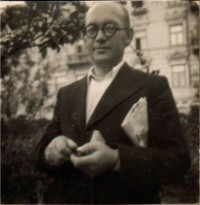 By the end of 1941 or early 1942 he became acquainted with Ewa Slyzsko. 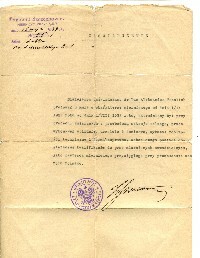 By 1944 he was given orders to relocate to the area of Ulm. Then after the war (September 1946) he lived in Schelklingen and worked as a math teacher. He somehow managed to get Ewa and 2 of her daughters to relocate to the same town with him. By the end of 1949 he managed to assist her in getting a divorce from her first husband in order for him to marry her in November. By January 1951, he and his new family had emigrated to SW Ontario. http://www.viximus.com/_Viximus/Photos/Raw/62DD087A-2983-4443-86BA-8AC8ED0CD8A7.jpg http://www.viximus.com/_Viximus/Photos/Raw/E2E3F068-AB56-4079-90EE-AE3B029C65B9.jpg http://www.viximus.com/_Viximus/Photos/Raw/FC2E2D34-3DEA-4A34-BBAC-298EA7D24D39.jpg http://www.viximus.com/_Viximus/Photos/Raw/6DE22B41-3261-4D02-A52C-8B019AD903F6.jpg http://www.viximus.com/_Viximus/Photos/Raw/0B16407F-5402-4B19-9A7B-1EFC7DCB3AE8.jpg http://www.viximus.com/_Viximus/Photos/Raw/7253C262-4CDC-41F6-AB22-EB0367FD4B90.jpg http://www.viximus.com/_Viximus/Photos/Raw/F790566B-D4D5-45F7-AA62-3B5DCCC3B40F.jpg http://www.viximus.com/_Viximus/Photos/Raw/7F1773C2-1FB9-495A-94B1-699223AAF168.jpg http://www.viximus.com/_Viximus/Photos/Raw/A5C805AC-1E0B-4699-A3CD-60FFA81D9F3A.jpg http://www.viximus.com/_Viximus/Photos/Raw/21F2BDDC-B888-4F3D-9896-7A333346BC47.jpg http://www.viximus.com/_Viximus/Photos/Raw/FAC1F4F7-A5E3-4CE4-9413-FA404FA8D7ED.jpg This photo was taken sometime about 1922. 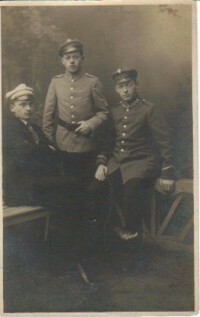 My grandfather is sitting on the right, his brother Henry in the middle and his other brother Albert on the left. 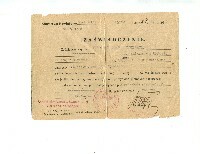 This document I have no knowledge of yet since I have not had it translated. Not sure what this document is all about. A rough translation says that he never was never in trouble with the law. This indicates what kind of medal that my grandfather received, when and for what. This is one side of a medal that A.M. Froelich earned. who's who on family photo side b family photo June 1965 side a side 2 of student id card Side 1 from student id card This photo was taken sometime in October 1949 as you can see by the fall clothing being worn. Best guess is the couple in the photo may be heading to the Schelklingen Rathaus to deal with some paperwork. This was taken before this couple became married. While I may not be sure as to how old my grandfather was when this was taken. All I can tell from other photos he would have been in his late 30's.